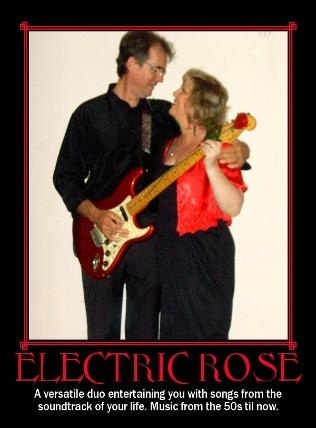 We are a versatile, professional musical duo entertaining you with songs from the soundtrack of your life. We perform hits from the 40s, 50s, 60s and 70s ....until now. We believe that live music brings a great vibe to your function. We specialise in weddings, the 2nd (or 3rd) time around! We ‘re also a great hit at birthday parties of the 40th, 50th and 60th kind — where people have reached an age when they really know how to let down their hair and party! From the gentlest of love songs, to smooth jazz and blues — to your favourite pop and rock. From quiet acoustic music over dinner, to a contagious rhythm that gets you up on your feet to dance. Our large repertoire can be tailored to suit your needs.